To establish a transport line in Benue State of Nigeria, in West Africa, in a very viable and profitable environment, where profit is eminent. Needs of $5000 minimum to start up. In urgent need of Sponsorship/Partnership. (Profit starts in a minimum of $3,025 per month/one vehicle). Already in motion, early stages of establishment. Have engaged two interested parties besides myself. I intend to situate this market between Gboko and Makurdi, in Benue State, and between Makurdi and Abuja- the Federal Capital Territory. Gboko is the residential hub of Benue State, while Makurdi is the State Capital. Majority of the people working, Schooling, and doing other businesses in Makurdi, tend to reside in Gboko- a serene cool weathered environment surrounded by two hills on both sides, contrasting with Makurdi which is divided by the River Benue, which always runs high temperatures. A minimum of 3500 people tend to ply this route everyday.. This is an opportunity that I have missed for some time now, due to lack of funds. Already missed out on so much money as a result..!! Numerous vehicles ply this same route, but the difference in profit depends on who provides the best of services to the customer's delight. The vehicles known in this terrain are predominantly mini cars. 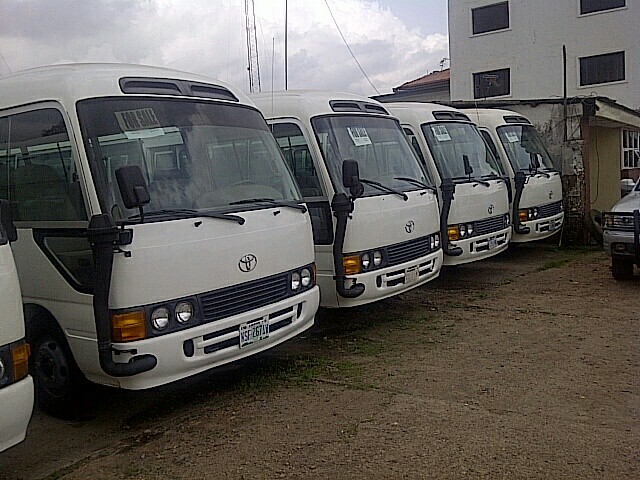 Introducing Buses will boast our market against the competitors. Profit base stands at $3025 per month per vehicle. That's equaling $36300 value for one vehicle per year. Totaling $181500 in 5 years. But with increase in number of vehicles as the years go by, profit can multiply up to $2722500, in the course of 5 years. The investor owns 60% of this ! Without any more risk than investing into the business..!! It takes $5000 to invest in one of these vehicles..
Providing transport facilities in a profitable environment where transportation is so much needed. Intention is to provide 14 Seater buses, and Cabs to satisfy demand in this market zone. Risks are mostly accidents, which are relatively low. However, the investor is not liable to these.. Most of the Programs are in Russian/Ukranian, and so becomes difficult for me to participate in, nor understand if my business type is accepted in them, since I speak only English..